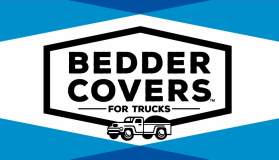 Watch the video to see how to install the Bedder Cover. ​Beginning from the back, make sure you overlap the layers and seal the seams down firmly with your hands. Cut out the tail lights. Be sure to tuck the last layer down over the top of the truck bed so that wind does not catch underneath the Bedder Cover. These steps will insure your success for a good fit and will protect your goods from rain and dust.